Kyle’s Mum had been following my facebook page for a little while before we finally got around to arranging this session. There’s some great locations for a Nottingham photoshoot, but we headed to a local park just outside of Nottingham City Centre and set about exploring for suitable locations, having a good natter and laugh along the way. At one point I nearly fell into the lake and from then onwards I couldn’t stop Kyle laughing. He was just brilliant to work with and there’s some beautiful images. 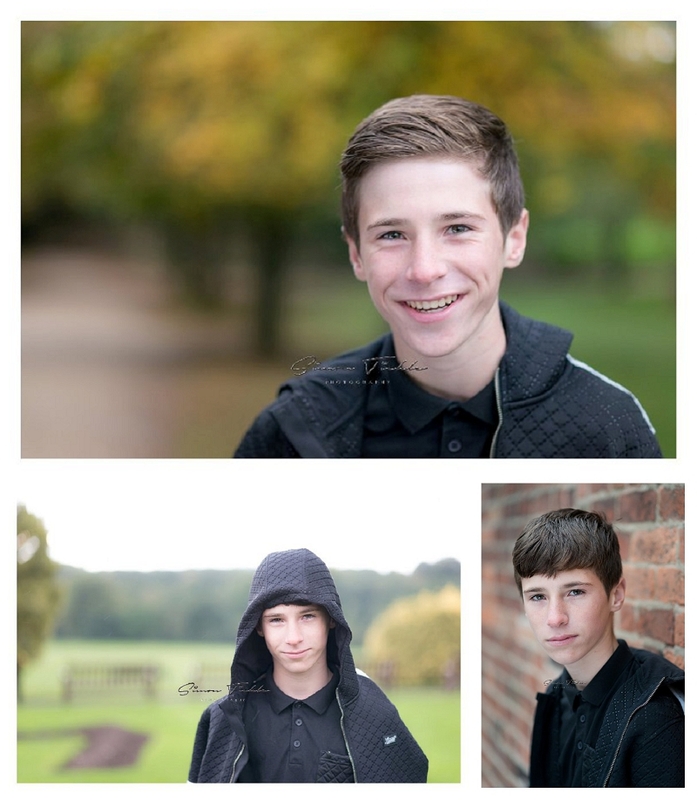 I photographed Kyle at the start of October, just as the Autumnal colours were starting to pop through and break up the vivid green foliage of summer. I love, love, love the colours of Autumn. I’m not sure whether Kyle or Mum chose the final image from this session, but either way it’s going to look great up on the wall!